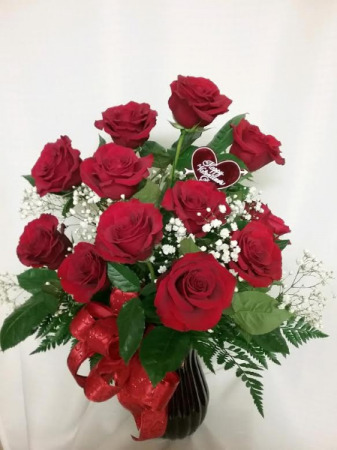 Cook Florist's Valentine Dozen in Presque Isle, ME - COOK FLORIST, INC.
Our special dozen red roses for your Sweetheart for Valentine's Day! 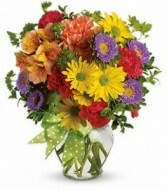 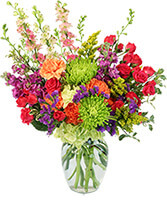 Professionally arranged by our floral designers. 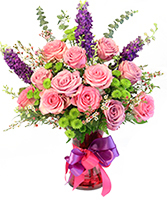 12 beautiful red roses with baby's breath accent, bow and valentine heart in a Valentine red glass vase.